Help Palestinians in Gaza regain their sight. These are patietns who have cornea disease, and thte only solution is cornea tranplant. Cost per beneficiary: The cost is about $2000 per patients including purchasing the cornea tissue form US eye banks and shipping it to Gaza on the day of surgery. PAMA is collaborating with Public Aid Hospitals in Gaza to launch corneal transplant project for patients with cornea disease. These patients have lost their sight because of corneal disease or injury and their sight can't be restored without corneal transplant. Gaza people are suffering severe financial hardship and can't afford the costs of the operation. 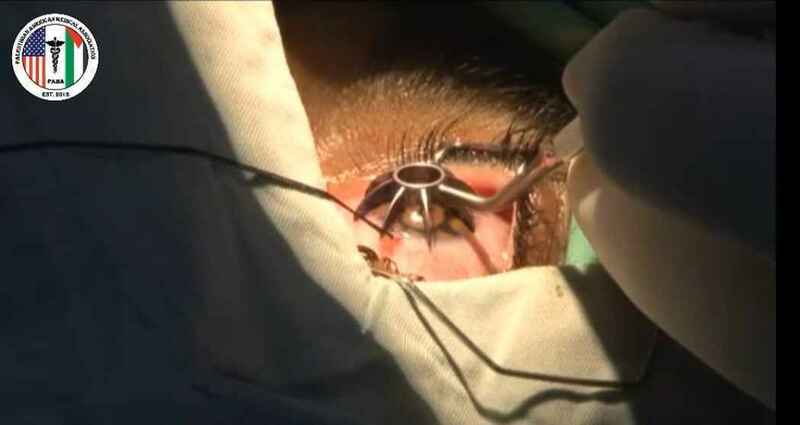 Public Aid Hospitals group has successfully implanted 70 corneas over the last several years, but they had to stop because of lack of funding. PAMA has adopted the idea and will fund-raise money to keep this project going. By the end of 2018m and with your generous donations and pledges we have already secured funds for 70 cornea transplants, 2000 more patients are still waiting your help. Please join us to help restore sight to our people in Gaza, your donation will benefit a father, mother or a university student. Each cornea mission benefits 5 patients, and so far we had 7 mission successfully completed, and enables 35 young men and women see again.